Although potatoes are indigenous to South America, they are perhaps more profoundly used in European cuisines than any other. 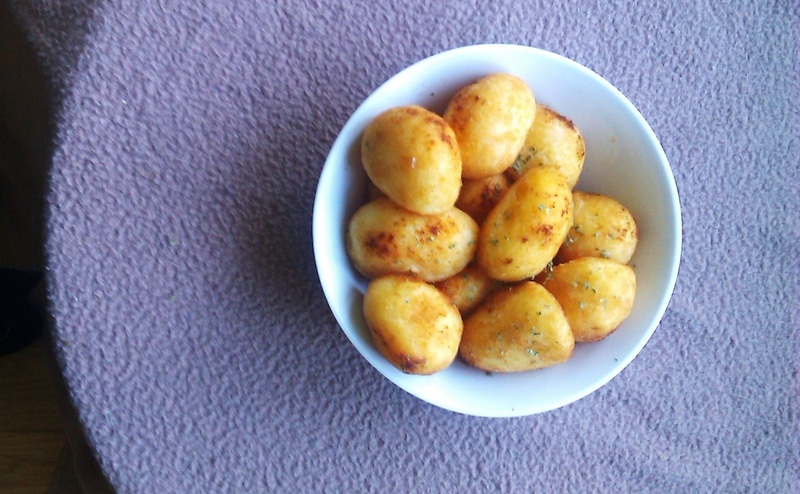 And it is a crime that I am only just now, posting a recipe for English Roast Potatoes. 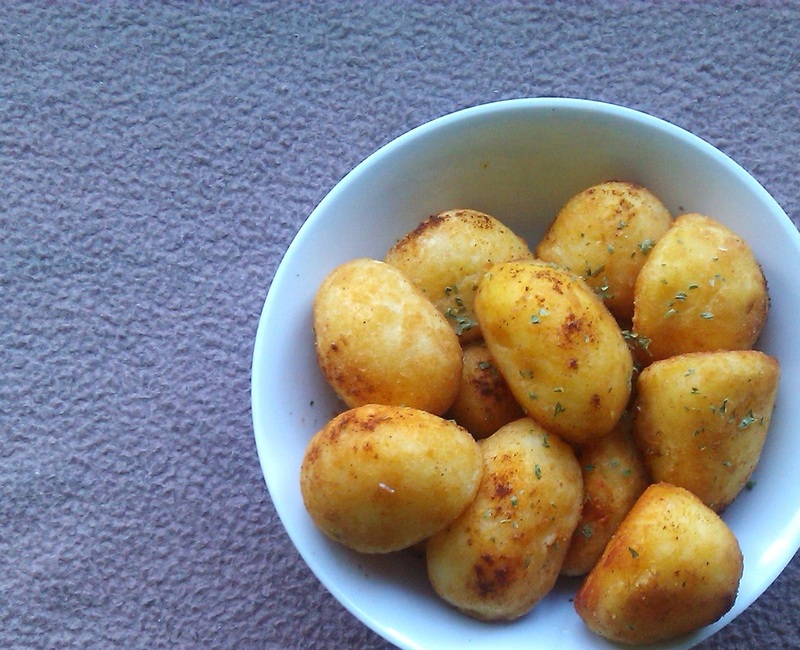 Basically speaking, you don't get English food without potatoes. 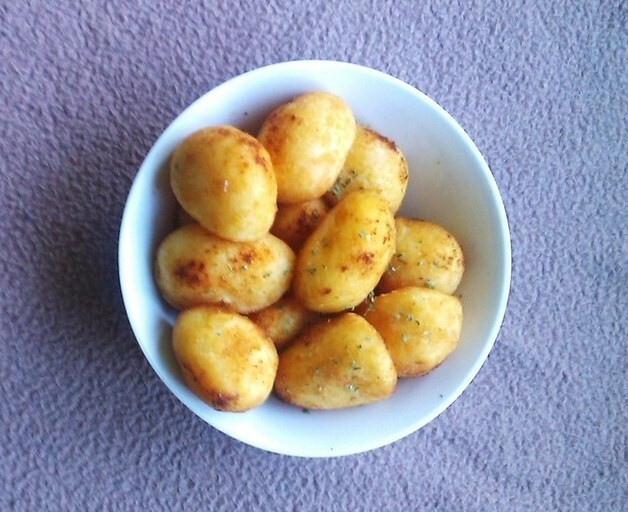 In fact all Germanic cuisines; including Western, Central and Eastern Europe heavily features potatoes. In England we have potatoes in dishes such as Shepherd's Pie, Bangers and Mash, and of course Fish and Chips. 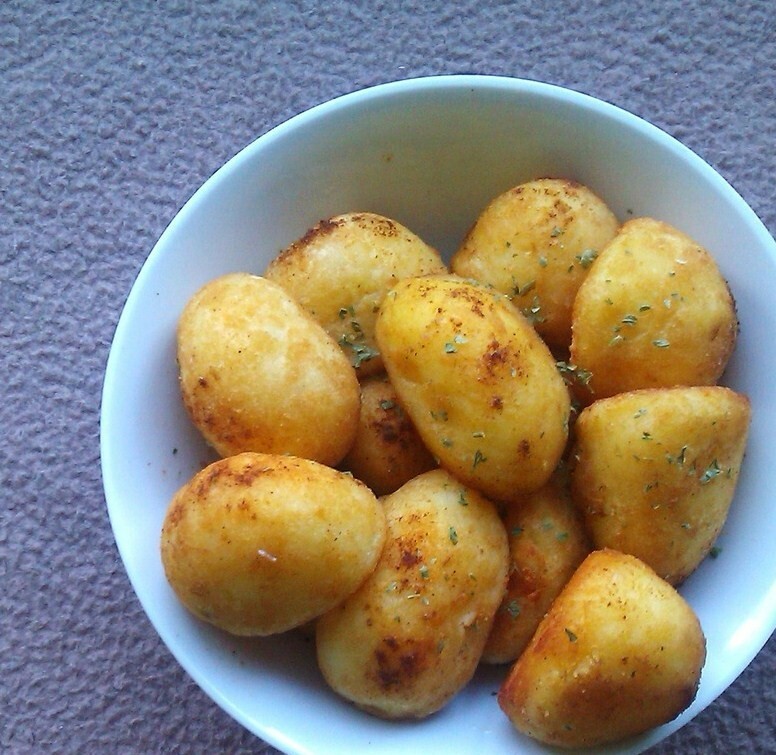 The most popular or famous way of cooking potatoes in England is roasting them. 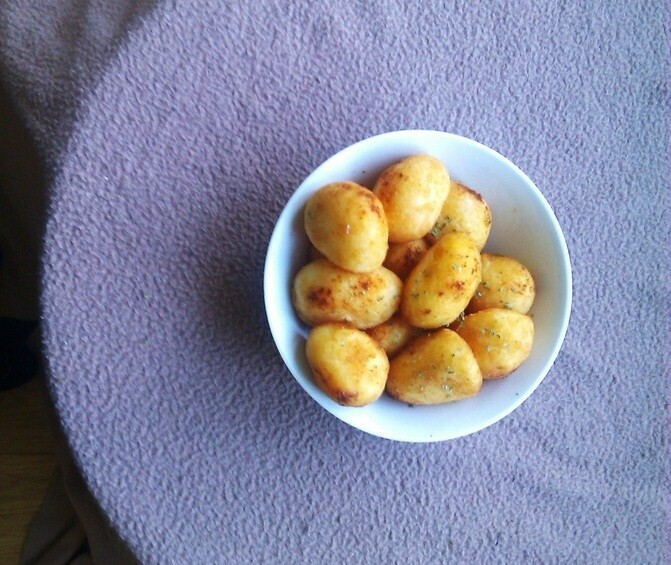 And of course, a Sunday Roast just is not complete without roast potatoes. And with all the roast recipes I have on here, it's about time I share this recipe. 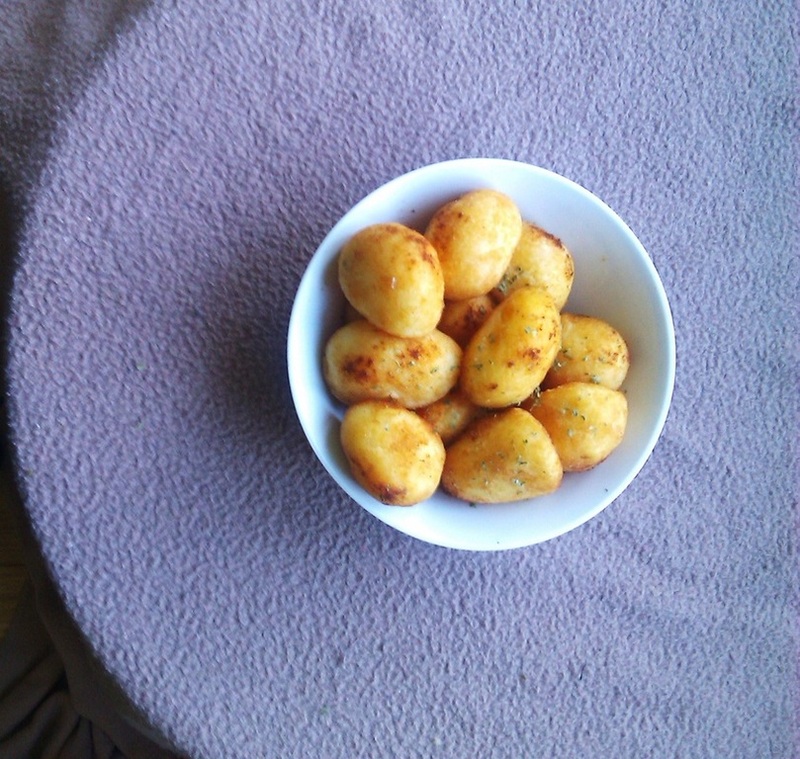 Roast potatoes are delicious with gravy. 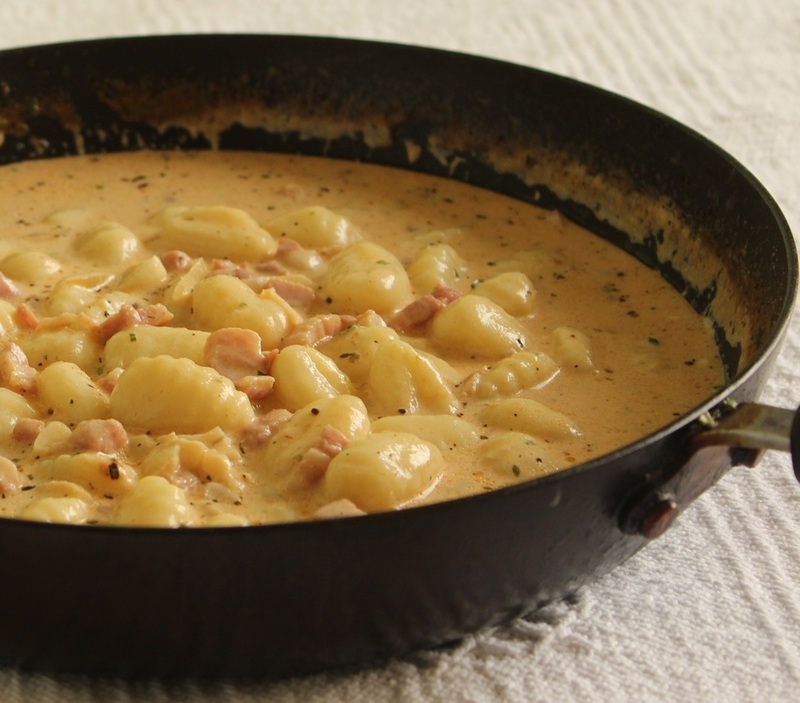 This recipe is in honour of Jackie Collins​ who recently passed. May her soul rest in peace. Quantities are up to you, but this recipe is for 10 potatoes. Maris Piper and Russet Burbank potatoes are good for roasting, but any creamy fleshed potato you can find is good enough. So 10 potatoes, 1/2 half a tsp of salt-or to your taste, 1/2 half a tsp of pepper, 3 tbs of melted butter, 1/2 cup of vegetable oil, 3 tbs of duck, goose, or beef fat (optional), 8 cups of water for boiling *approximately. The Directions are below. 1. Bring the water to boil in a large wide pot. And while you're doing that preheat the oven. Then peel the potatoes and slice them into large chunks. Then get a baking tray and add the oil mixed in with the butter and meat fat to the bottom of the tray. If you're using meat fat- mix it in with the oil and the melted butter in measuring jug before pouring it onto the roasting/baking tray, this adds more flavour to the potatoes. 2. Once the water is in a full rolling boil, add the potatoes to the pot. Boil the potatoes on medium high for about 8 minutes. In the last 3 minutes of boiling (after 5 minutes), put the baking tray in the oven to heat the oil for about 3 minutes. .
3. Remove the potatoes from pot and pat dry, if they are too wet they won't be as crisp. Then add the potatoes to the baking tray of hot oil; make sure the potatoes are not sticking, that they have some room. 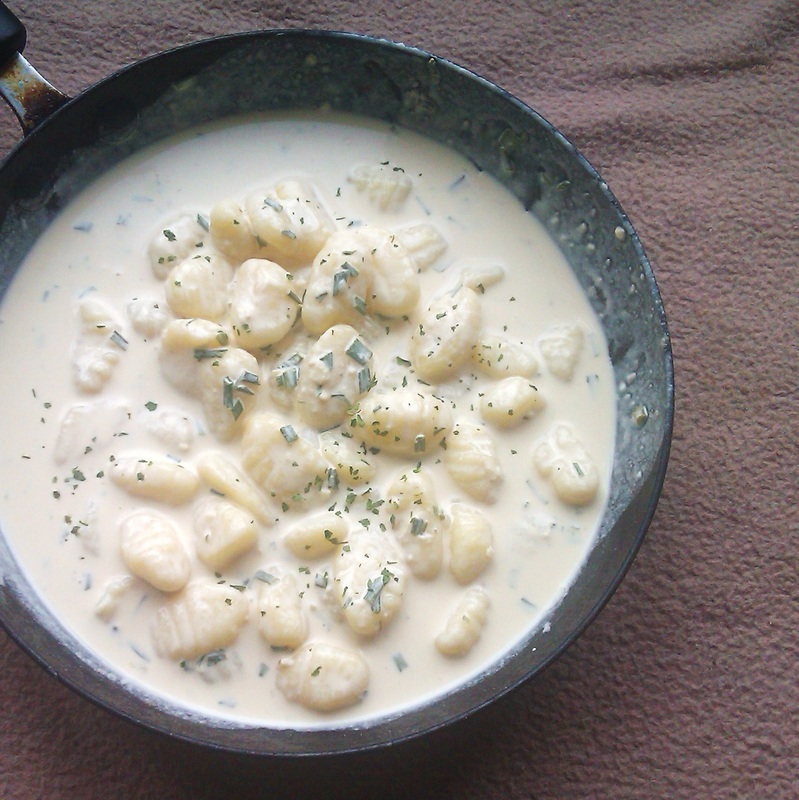 Sprinkle the salt, then pepper, as evenly as possible over the potatoes so the ingredients are evenly distributed. Then place the potatoes on the oiled tray and pop them in the pre-heated oven on 185 to 190 degrees c (guideline only) for about 30 minutes. Turn them half way so they can be evenly cooked; so after 15-18 minutes. If they are still not done in 30 minutes, or you feel they should be crisper, then roast the potatoes for another 10 minutes or so. 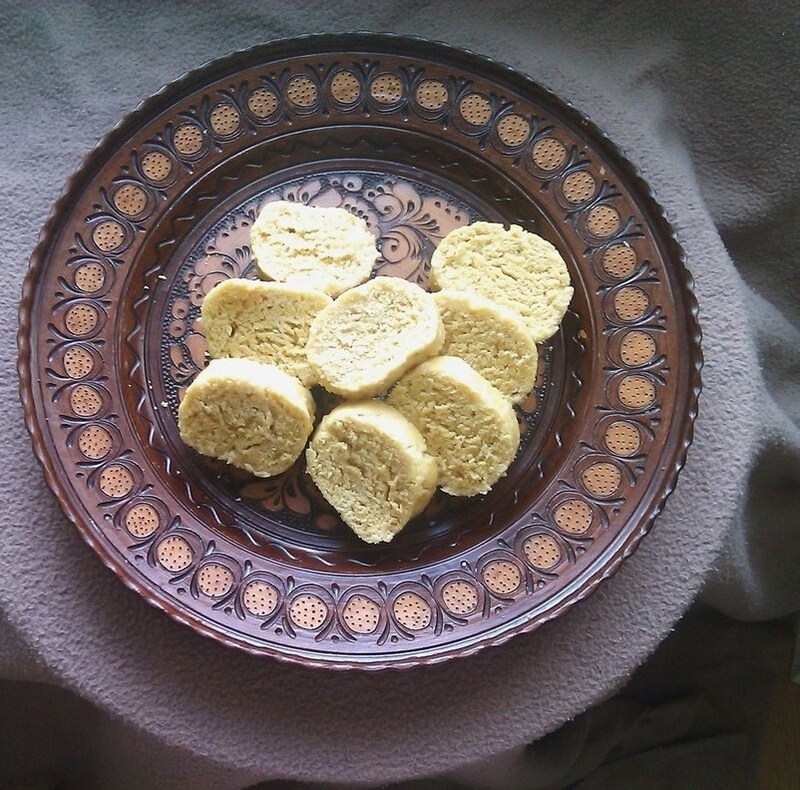 Let them rest for a further 5 minutes before serving.